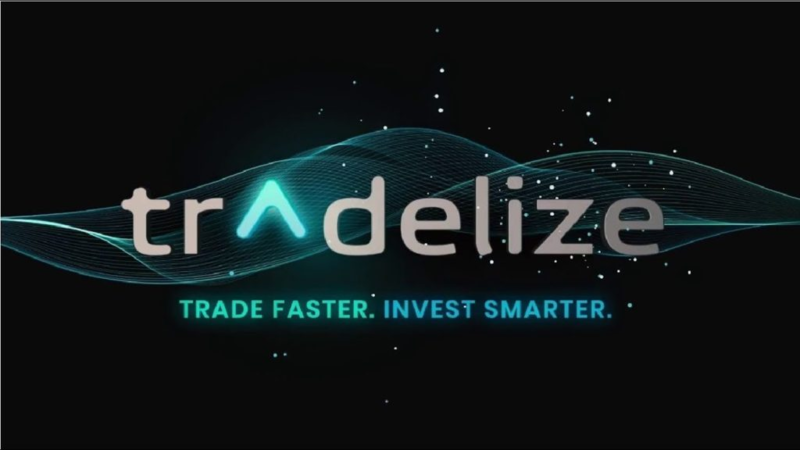 Good day my dear readers.I have prepared for you a new review of the project.Today we will analyze a rather interesting and promising project Tradelize. What is this project? Tradelize – cryptocurrency platform services for trading. It allows clients to trade without fear for their cryptocurrency funds and make profitable investments with the help of ready-made developments of top traders. The goal of the project is to reduce the entry threshold for the crypto - currency investment market by providing special services for trading crypto-assets. The platform has a modern architecture and a huge number of tools focused on customers. Having a large network of traders who are able to raise cryptocurrency trading to the latest level. The creators of the project have developed tools to help beginners and advanced traders. 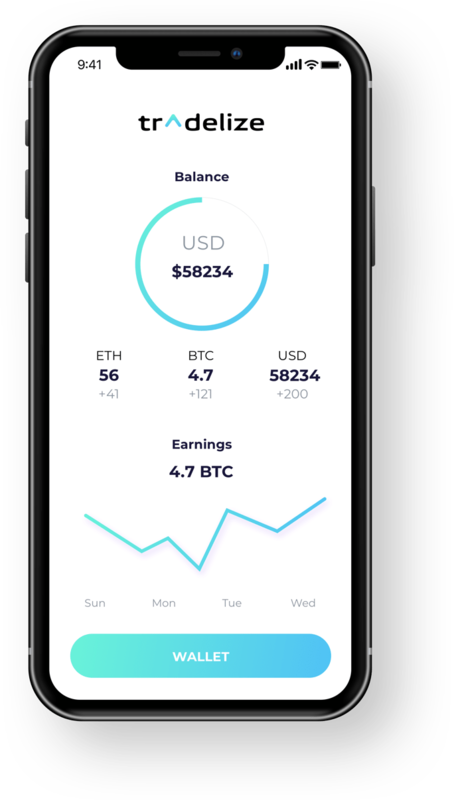 With the platform, users will have the opportunity to use other people's tactics and strategies, using experienced traders, and the Blockchain is responsible for checking and collecting statistical data. This project is different from other similar sites and exchanges. Here you already have a chance to earn using the strategies of more advanced traders. In addition, Tradelize is the first and unique platform where there will be direct access to the market. One of the advantages is the presence of a simple and convenient interface, connecting multiple wallets to simplify the work. Tradelize.terminal. He is responsible for increasing, on the financial and stock exchanges, the growing number of advanced traders. Tradelize.score-save all your actions using Blockchain technology. Tradelize.web clients can make profitable deposits, find work schemes, which invest more advanced traders. To get a constant profit, equivalent to the profit of the average level traders. Use the strategy and tactics of the selected traders. The partnership will give customers advantages: confirmation of their skills, marked in the Blockchain, receiving a percentage of the profit earned by traders using their achievements and strategies. According to the developers Tradelize, the main task is the creation of a separate cryptoeconomy. Such an idea will definitely add something new and unusual to the crypto world. access to strategies that increase revenue. getting the ability to monitor their statistics. help the community to make the right decision. Using the strategy of professionals. The platform begins its development in the first quarter of 2017. Based on the road map, most of the events are scheduled for 2018. For a short period of time, developers need to do a lot. If the developers fulfill all that they promise-the success of the project is guaranteed. The idea of the project is interesting and it has a huge potential. Beginners will find this project very useful, here they will learn how to earn money at a professional level, and advanced traders will appreciate the exchange with the trading terminal. I believe that the project is being implemented in full and will enter the market.